AMRITSAR SAHIB (July 30, 2013)—Various historical shastars that have been kept at Sri Akal Takhat Sahib are undergoing restoration work. 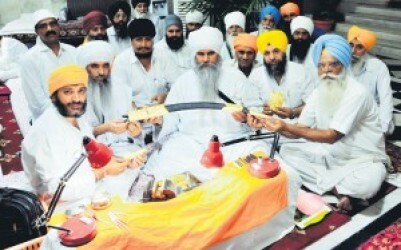 Many of these shastars were damaged during the 1984 Sikh Genocide (Operation Bluestar). The purpose of the renovation work is to give them an ancient look. Many of these shastars belong to Guru Gobind Singh, Guru Hargobind Sahib, Baba Ajit Singh, Baba Jujhar Singh, Baba Budha Sahib, Baba Deep Singh and other Sikh generals. These weapons have been facing continuous deterioration since the army attack on the shrine. These historic shastars include Sri Sahibs, teghs, katars, guns, chakarrs, shields, khandas and other weapons that have been re-enameled with gold and diamond embedding. Some of these have Gurbani engravings on them which make them highly valuable. 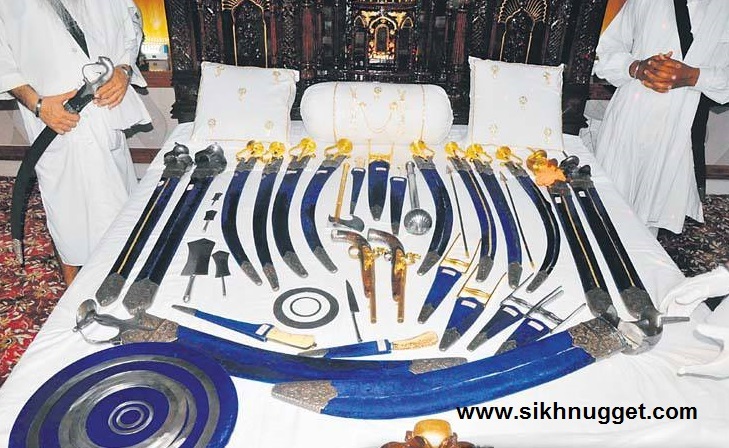 The sangat visiting Darbar Sahib can catch a glimpse of these weapons every day after Sodar Rehraas Sahib recitation. A specialized team of workers has been tasked with the process under the guidance of Sardar Jagbeer Singh, Babal Balwinder Singh and Baba Narinder Singh from Sri Hazoor Sahib. These members said that the restoration process is being carried out keeping in mind the original design of the armour. 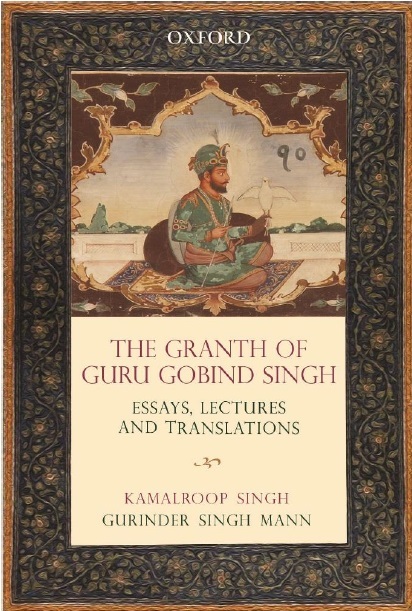 S. Gursharanjeet Singh, associate professor at GNDU strongly feels that modern technology should be used to preserve the uniqueness and originality of the Sikh shastars. He condemns the usage of gold and diamond in the restoration process saying it would result in the loss of the original design. Bibi Kiranjot Kaur (SAD) said that it would be a huge setback for Sikh culture if the original designs were disturbed in the so-called restoration process. But, appointed Jathedar Giani Gurbachan Singh in his statement refuses any such allegations saying that only the irreplaceable parts have been restored and no changes are being made in the original design.